Time to think about what in the world I’m going to feed my family next week! 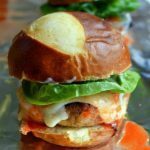 Spicy Chicken Panini – Inside BruCrew Life – It’s Monday, let’s not stress over dinner. 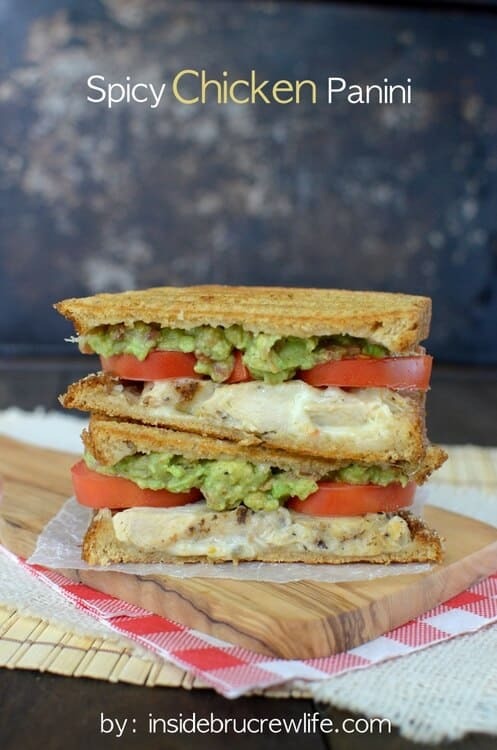 I don’t think anything looks easier or tastier than this panini! 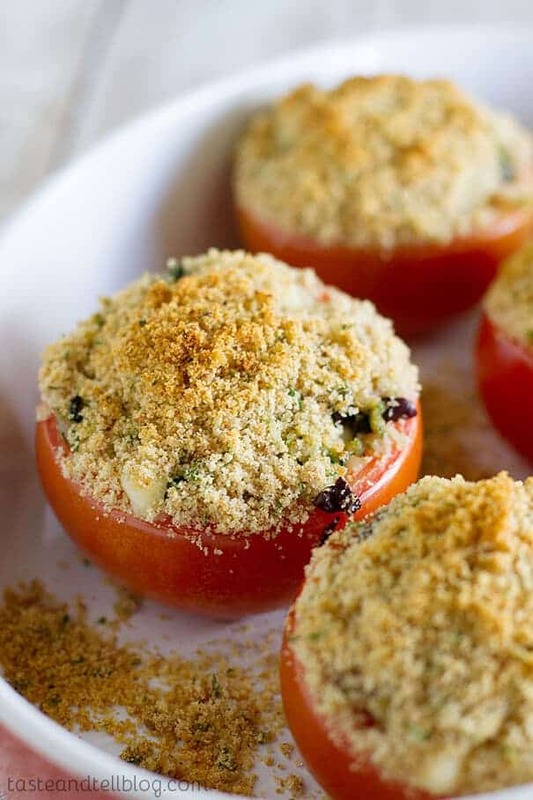 Cheesey Stuffed Tomatoes – Taste and Tell – My kids won’t eat tomatoes. But… they are getting big and I am kind of over their weird taste buds. 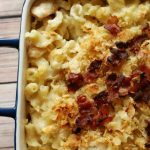 I’m making these anyway because they look AMAZING. 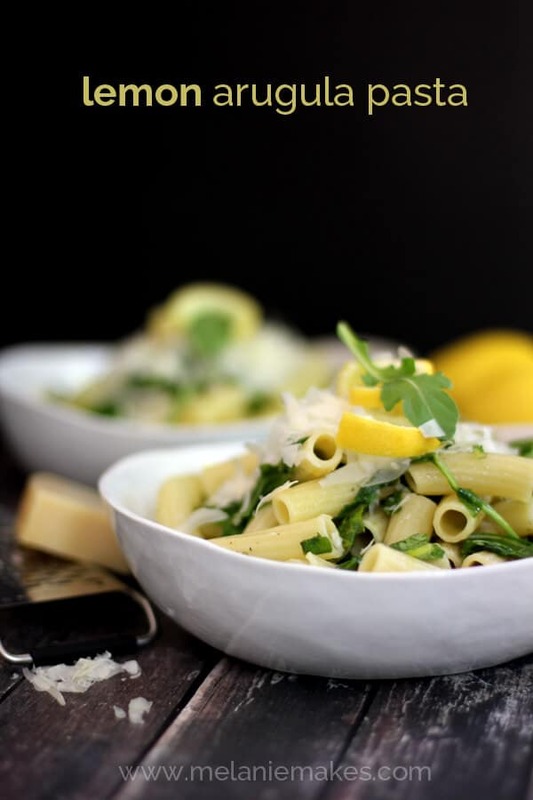 Lemon Arugula Pasta – Melanie Makes- A simple pasta dish with lots of flavor makes one heck of meal for mid week! 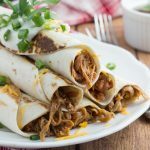 Tortilla Stacks – Shugary Sweets – Sometimes dinner has to be fun! Slow Cooker Sausage and Peppers – A Little Clareification – I super love easy meals on Fridays. ACTUALLY I like to avoid the kitchen on Fridays. This slow cooker meal totally does the trick. 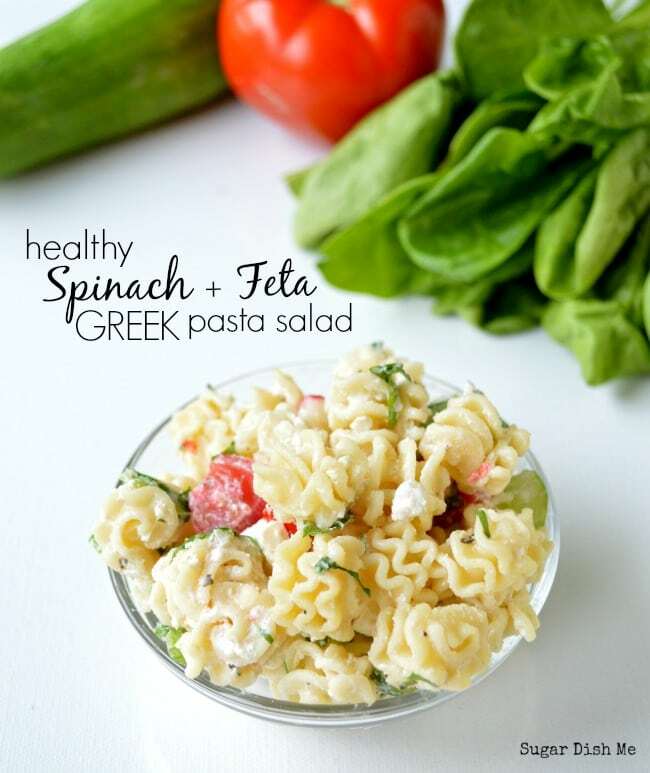 Healthy Spinach and Feta Greek Pasta Salad – Sugar Dish Me – Life just got simpler, here’s the perfect side for grilled burgers and dogs! Or you can add chicken and call it a good day. 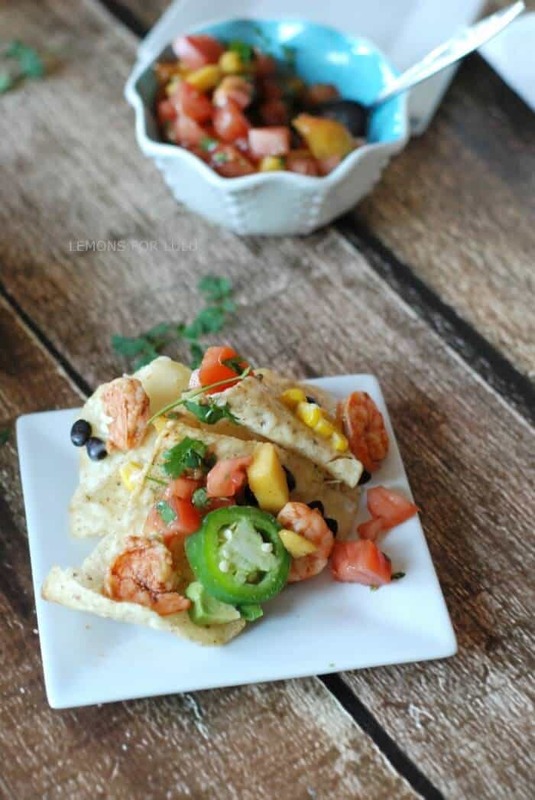 Grilled Shrimp Nachos – Lemons for Lulu – Totally. Freaking. Delicious. 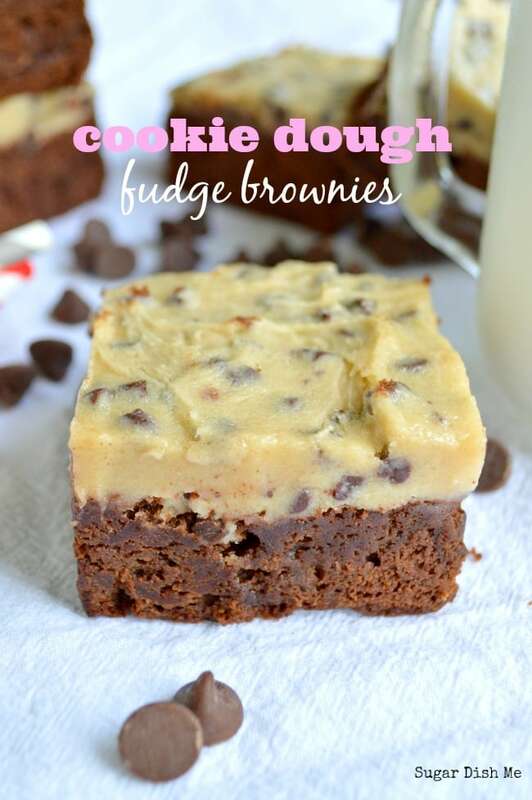 Cookie Dough Fudge Brownies – Sugar Dish Me -The best way to end any meal is with a big hunka brownie! 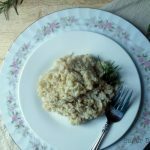 Follow Sugar Dish Me’s board Salads + Veggies on Pinterest. 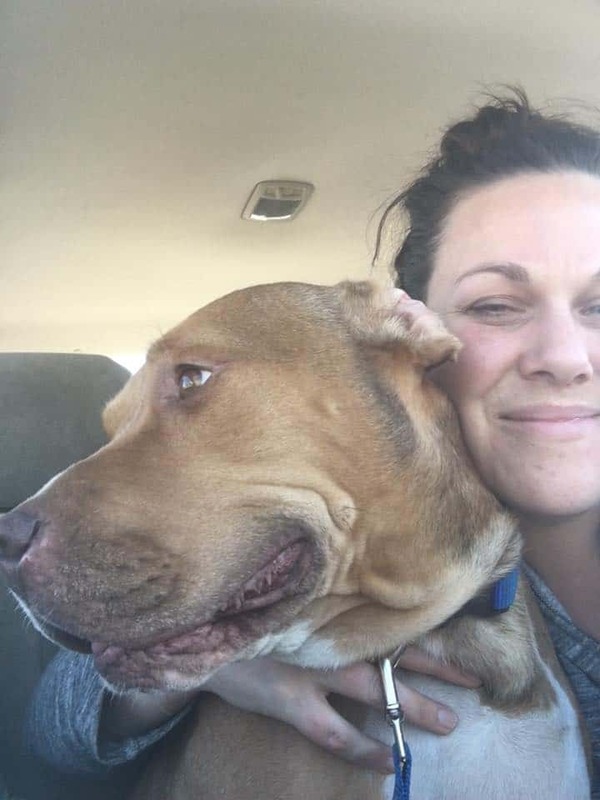 Follow Tanya Schroeder @lemonsforlulu.com’s board Lemons for Lulu on Pinterest. Thanks for including me 🙂 Great meal plan!! 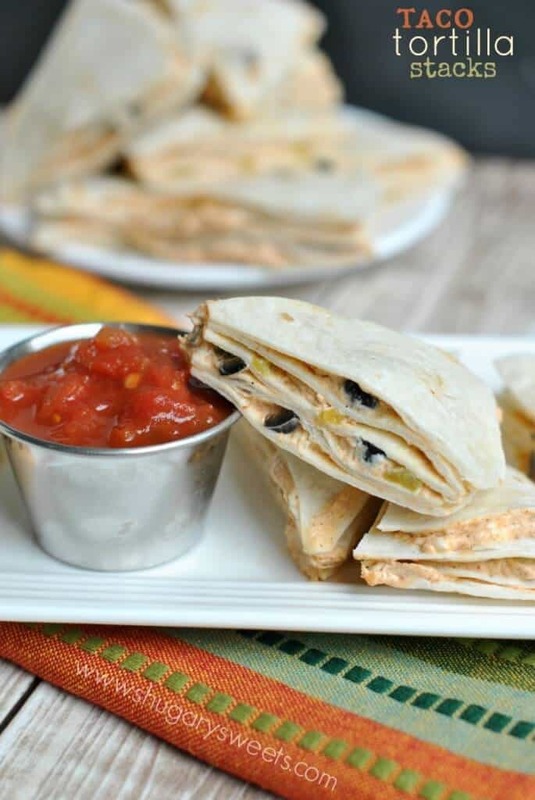 Awesome tortilla stacks, Aimee! Can’t wait to make them!! Oh wow – everything looks amazing. Look at those shrimp nachos! I die. 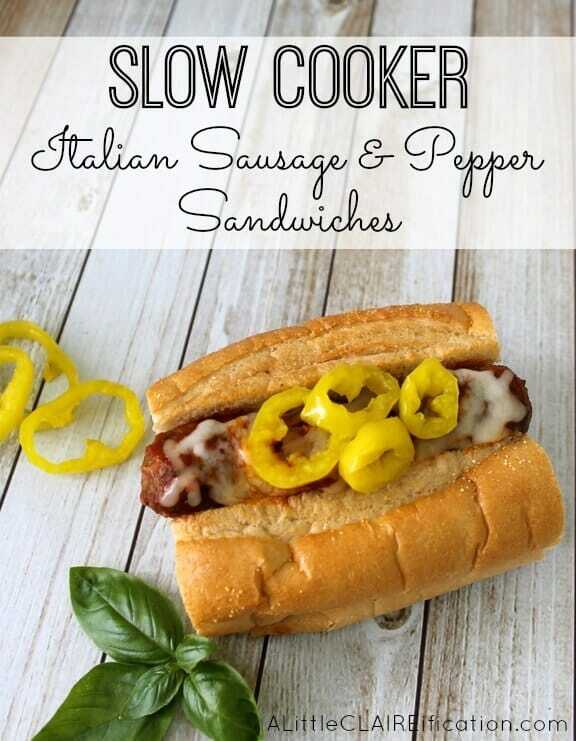 Thanks for including my Slow Cooker Italian Sausage Sandwiches too! Pinned! I NEED that Panini in my life! As always, the weekly menu looks fantastic!